Welcome to our first newsletter of 2016. Below we review our key achievements in 2015, a transformational year for StreetDoctors. With the help of our funders, supporters and our amazing volunteers we more than doubled the number of young people we taught. We also launched our innovative new peer support programme StepWise, and gathered some powerful stories of the impact that StreetDoctors teaching sessions are having on the lives of vulnerable young people across England. Last year we taught nearly 2,000 young people. Over half of these young people attended both of our teaching sessions - what to do when someone is bleeding, and what to do when someone is unconscious - amounting to a total of over 3,000 attendances (compared to just over 1,000 attendances in 2014). 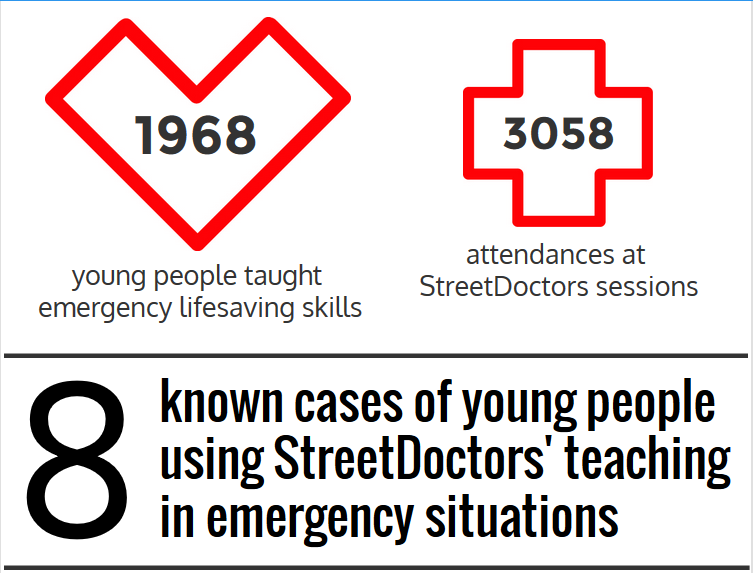 Our impact evaluation by independent consultants Red Quadrant has shown that StreetDoctors sessions leave young people with the skills and confidence to act and, equally as important, increases their willingness to help someone who is injured. We worked with 95 specialist delivery partners across England ensuring our sessions reached those young people who are most at risk of violence. To learn more about what we achieved in 2015 visit our website at www.streetdoctors.org/2015-review. 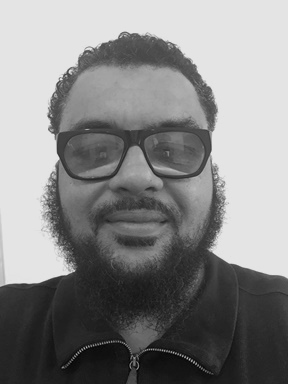 Ray Douglas joined the StreetDoctors team in November last year as our London & Stepwise Worker. This post, funded by Trust for London, means we are able to reach more young people through our London delivery teams as well as trialing StepWise, our innovative peer support programme, ready to roll out in other cities in 2017. StepWise builds on the talent and aptitude of many of the young people we work with to teach other young people emergency lifesaving skills. Through StepWise they get opportunities to support the delivery of sessions, gain an accreditation in first aid, learn more about careers in the health and social care sectors, and be mentored to achieve education, life and career goals. Ray brings a wealth of experience to StreetDoctors including over 20 years working and mentoring within the Criminal Justice System, and we are very pleased to have him as part of the team! 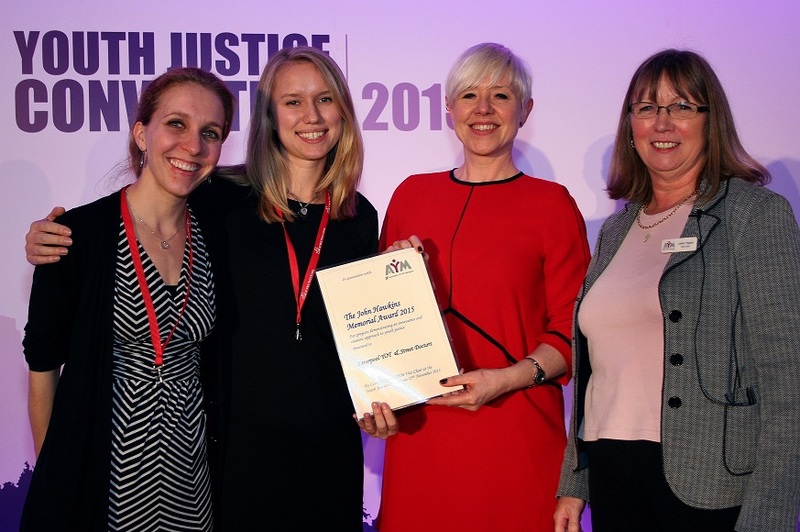 We were honoured to win the John Hawkins Award in November 2015, awarded by the Association of Youth Offending Team Managers. This recognition was covered by several media outlets including BBC Radio Merseyside. Listen here to the interview with Steve Boote from Liverpool Youth Offending Team, who talks about the ‘cognitive shift’ that he thinks happens in a StreetDoctors session. The Liverpool StreetDoctors team have been delivering sessions to 18 – 25 year olds in HM Prison Liverpool. The young men have been using the skills they learnt in a variety of ways. One inmate used his StreetDoctors training in a medical emergency. Chris (not his real name) attended a StreetDoctors session in the prison. A few weeks later he came across a fellow inmate who was very unwell, in a semi-conscious state with laboured breathing. Chris placed him in the recovery position and looked after him until a nurse arrived on scene to take over his medical care. A group of inmates passed on their training to others, raising money for a good cause at the same time. 12 young men who had received training from StreetDoctors in how to deliver emergency lifesaving skills went on to teach those skills to an additional 100 inmates as part of Restorative Justice week. In this way they raised money to buy Christmas presents for three families nominated by the Salvation Army. This video shows the reactions of the families when they received their gifts. Huge thanks to all our supporters, funders and delivery partners. Without you our work wouldn’t be possible. And special thanks to The Alex Roberts-Miller Foundation and The Austin and Hope Pilkington Trust for their kind donations. Together we can tackle youth violence and improve the life chances of young people at risk. Copyright © 2016 StreetDoctors, All rights reserved.